Women’s progress toward reaching the executive suite in the commercial real estate industry does not match their presence in the lower ranks, but signs point to improvement in the future. The current presence of women in upper management comes as a disappointment to some in the field: Of NAREIT’s 222 domestic corporate members, just six currently have female chief executives, or 2.7 percent. Women hold just 59 general counsel positions (27 percent), 35 chief financial officer jobs (15 percent) and 18 chief operations officer spots (8.1 percent). The numbers are similar in corporate America as a whole: 4.2 percent of chief executives in the Fortune 500 are women, according to Catalyst Research. About 14 percent are executive officers, despite women making up 51 percent of management, professional and related occupations. Just 9 percent of female respondents in a 2010 survey of 2,900 commercial real estate professionals worked in the executive suite, according to Commercial Real Estate Women Network (CREW), an industry advocate for the advancement of women in the field. That compares with 22 percent of male respondents. Yet, 36 percent of female respondents held positions at the mid-level or below, versus 27 percent of male participants. While looking at the numbers alone tells one story, the trend line sheds a more positive light. 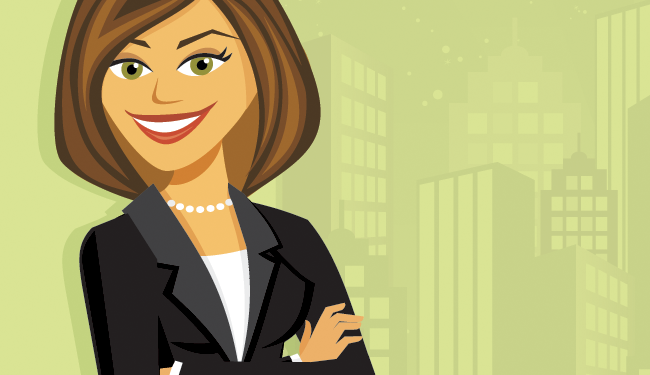 Women have made big gains in representation in commercial real estate. Women comprised 43 percent of the commercial real estate labor force in 2010, up from 35 percent in 2005, according to the latest benchmark survey by CREW, which hired the Cornell University Program in Real Estate to conduct the research across broad real estate categories, such as asset management, brokerage, development and financial services. The survey is conducted every five years. The 43 percent number bodes well for women taking top slots. In a sign of the changing times, Marguerite Nader took the helm of Equity Lifestyle Properties Inc. (NYSE: ELS) in February while Hines announced Sherri Schugart would replace the retiring Charles Hazen as divisional CEO in the firm’s investment management group. In addition, Wellington Denahan was appointed as Annaly Capital Management Inc.’s (NYSE: NLY) chairman and chief executive officer last November. Companies would also stand to benefit by putting more women on boards, according to research by executive recruiter FPL Advisory Group. REITs that have had a female board member more than three years have outperformed peers by 2.6 percentage points over a three-year time horizon, according to FPL. What is happening along the way to limit more women from making it to the executive level? The answer lies in a combination of factors, experts say. One reality is a higher level of dissatisfaction of women versus men in mid-management. The primary source: a lack of an ability to maximize earnings, according to a CREW report. Men earn more than women from almost the beginning of their careers. About 31 percent of men earned a salary of $250,000 or more in commercial real estate, compared with just 11 percent of women, according to a 2010 CREW report. The male world at the top also reinforces the status quo there, recruiters say. While real estate has become more formalized through industry networks and events today than in the past, many bonds between real estate professionals are still strengthened on golf courses and at sporting events, venues traditionally more the domain of men than women. Many men simply just promote other men below them with whom they have formed those connections. “There are all kinds of inbred, boys-club behavior patterns that persist,” says Matt Slepin, founder of Terra Search Partners, an executive recruiting firm in San Francisco. Then there’s the reality facing women of whether to raise children. While this choice is also a dilemma for men, experts note that women still shoulder more of the burden of responsibility. All too often, just when women are reaching senior level positions, they are at a stage in life where they are getting married and having a family. Putting in the required hours can conflict with other life goals, Simpson adds. “Everybody—a woman or man—has to make a decision of where they want to go and work to get there, and work hard,” she says. Lisa Payne, chief financial officer for mall REIT Taubman Centers Inc. (NYSE: TCO), paid her dues in the early part of her career in investment banking at Chemical Bank and Goldman Sachs. Career came first. After she had her first child at age 37, she soon left Goldman to become CFO at Taubman. Her hard work at Goldman set the stage for transitioning to the executive suite. While her current job is demanding, the move gave her a better work-life balance, she notes. The hard work translates to sacrifice. When Debra Cafaro became chief executive of Ventas Inc. (NYSE: VTR) in 1999, it meant commuting from Chicago to Louisville, Ky., for the first five years of her job, taking her away from family during the week. “Many people would not be willing to make that sacrifice, which would be a perfectly acceptable decision,” she notes. Nevertheless, REITs and companies across Corporate America are faced with an enormous drain of talent. Much more could be done by companies to retain women who are willing to make the time for their job and are dedicated, Hill says. “There needs to be some flexibility put into the workplace, so they can have lives at home and work,” she says. So, while much work remains to be done, things have come a long way. Connie Moore, chief executive officer of BRE Properties Inc. (NYSE: BRE), says she remembers a NAREIT conference of CEOs and presidents in the early 1990s when she was running ICM Property Investors. “It was me and 50 or 60 men,” she says. The progress, albeit mixed, bodes well for the future of women in the executive ranks. For example, the 35 women serving as chief financial officers and 18 as chief operating officers among NAREIT members have a good stepping stone to the CEO post. Charles Keenan is a regular contributor to REIT magazine.